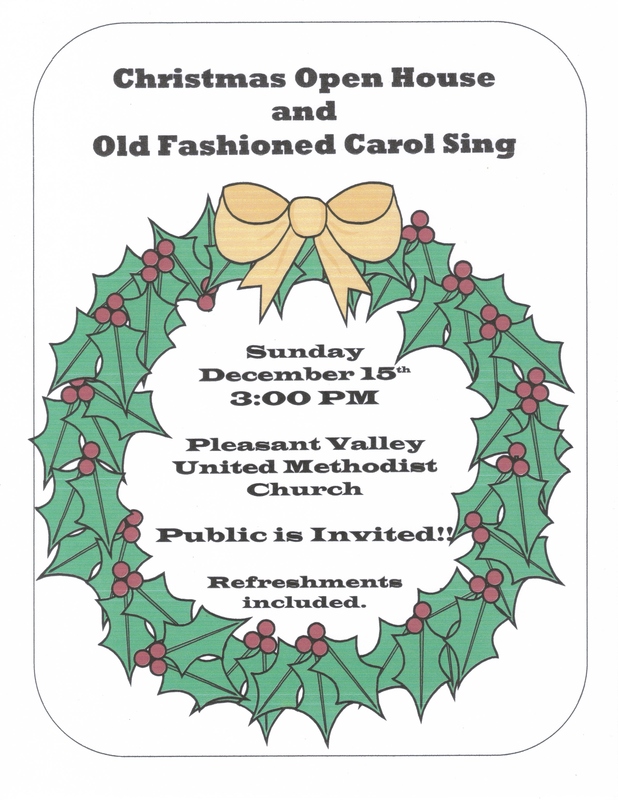 Everyone is invited to join us at the Christmas Carol Sing and Open House on Sunday, December 15th at 3 PM. Here’s your chance to sing your favorite songs of the season…just call out a hymn number! Or you may like to share a remembrance, a poem, play a song on a musical instrument, or celebrate the joy of Christmas in some other way. Or simply come and be a part of the fellowship. There will be light refreshments following the music, so plan to stay and visit with your neighbors. May you have a very Merry Christmas and a blessed New Year!